This has been another edition of "Megan Can't Resist Posting Videos of Disney Proposals." 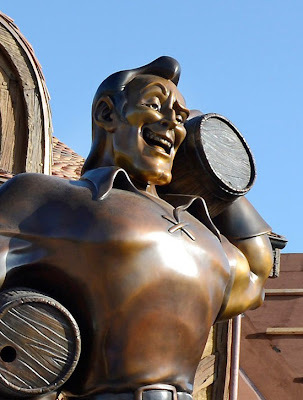 They're going to be remodeling Disneyland's Fantasy Faire soon! I love the little version of Rapunzel's tower, too cute! More pictures here. Speaking of Fantasyland, this awesome Gaston statue moved in at Disney World's fantasyland this week! I can't wait to take swoony pictures with it. Source. New Anne Leibovitz photos for the Disney Dream Portraits project came out this week! 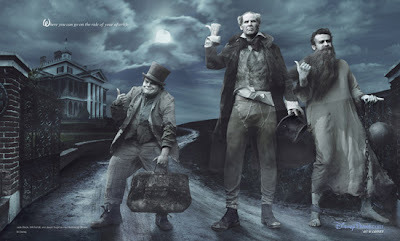 That would be Jack Black, Will Ferrell, and Jason Segel as The Haunted Mansion's hitchhiking ghosts! There's also Russell Brand as Captain Hook if you're interested, over here! 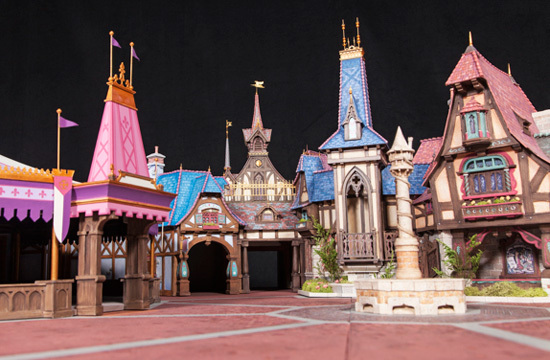 I'm so excited about the new Fantasyland!!! Now it's even harder to wait till November!! Thank y'all soo much for keeping me up to date on the things going on.